Tesla Battery Power in Victoria will be installed in regional Victoria this year, in time for the 2018/19 summer. The Turnbull government has committed up to $25m to Victoria’s first foray into large-scale, grid-connected batteries. The Age is reporting that ARENA (the Australian Renewable Energy Agency) and the Turnbull government will contribute $25m to the $50m project, which will be located in Western Victoria. The area has been identified as having a ‘vulnerable’ energy transmission network and will benefit immensely from the project. The other $25m of funding will come from a consoria led by Spotless Sustainability Services, according to PV Tech. 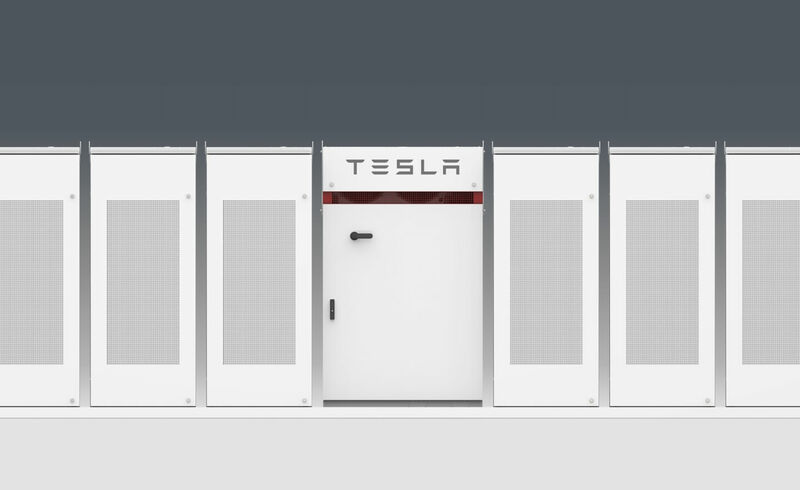 The batteries will, similar to the South Australia Tesla battery plant, use Tesla’s lithium ion Powerpacks, but in slightly different configurations and with separate manufacturers. A 25MW/50MWh Powerpack solar battery in Kerrang, supplied by Tesla, owned by Edify Energy and Wirsol, and connected to the Gannawarra solar farm in north-west Victoria. A 30MW/30MWh grid-connected Powerpack in Ballarat, supplied by global energy storage giant Fluence (a conglomeration of Siemens and AES), owned by AusNet and and built at a nearby station in Warrenheip. Both batteries will be operated by EnergyAustralia and a PPA (power purchase agreement) has already been signed. “ARENA is excited to be demonstrating the capabilities that these new batteries will provide in securing reliable electricity for western Victoria and to facilitate the Victoria’s transition to renewable energy,” ARENA’s Ivor Frischknecht said in a statement. Victoria has a RET (renewable energy target) of 25% by 2020 and 40% by 2025. Back in January we wrote about the Bulgana Green Power Hub – a 194MW wind farm and a 20MW / 35MWh battery storage facility which will be built by French renewable energy developer Neoen separately to the Gannawarra solar farm Tesla battery or the Ballarat terminal station Powerpack. So there’s plenty on the horizon for energy storage in Victoria – it’ll be great to see how this affects some of the weaker parts of regional Victoria as it’s already had a fantastic effect in South Australia. ← SunTenants offer solar power for renters.